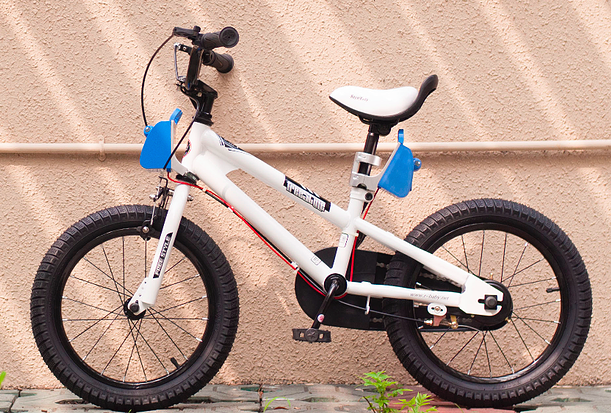 Bikiros is a smart bicycle accessory and app that ensures children are safe while learning proper riding skills. Learning to ride a bike is one of the biggest milestones and challenges in your child’s life. But the question is, how can you teach your kid to bike while having a peace of mind? With cycling attributed as the top cause of children’s injuries, parents need a device that helps with safety awareness and teaches their children how to maneuver their bikes without getting hurt. This is a problem that one Hong Kong startup is looking to solve. 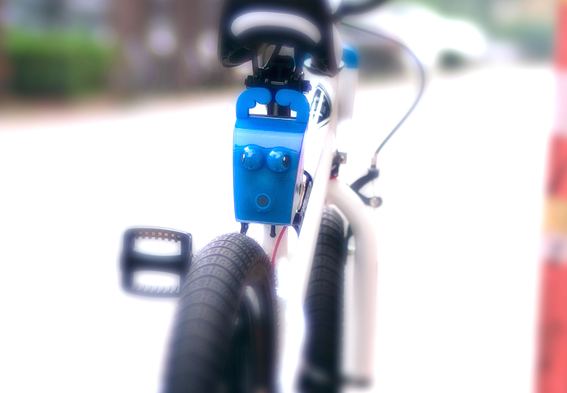 Bikiros monitors, evaluates and educates children on biking safety. The accessory uses four key features to teach children to be better cyclists: keeping an eye on risky biking behaviors, predicting immediate threats in the area, warning when risks are detected, and incentivizing through rewards and games. Risky biking behaviors could include late braking, tailgating, handling obstacles, high-speed cornering and more. After sensing dangerous behavior, Bikiros will then warn the biker by alerting them. After evaluating the rider’s weaknesses, its accompanying app will educate through games, comics and cartoons to teach the child better skills and ways to respond to risks while riding. There are three components to the safety riding accessory: a rear, wheel and front module. 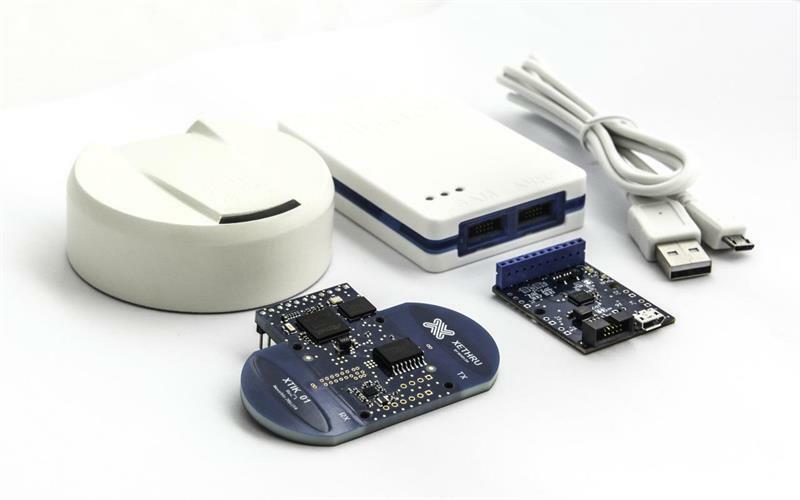 The rear module is packed with an ARM Cortex-M3 MCU, supersonic sensors, a six-axis accelerometer and gyroscope, a warning LED, GSM and Bluetooth connectivity, GPS and a 6000mAh battery. The wheel module is equipped with a six-axis accelerometer and gyroscope speedometer. Lastly, the front boasts another ARM-based MCU and three supersonic sensors, along with a horn and buzzer, a photoresistor, and a temperature and humidity sensor. The sensor-laden device is able to perceive all kinds of behaviors and match them according to the current biking environment to best determine if there is a potential risk that requires looking into. Through a proprietary algorithm and the embedded supersonic sensors, Bikiros can accurately pinpoint objects that may pose threats to the biker and take the necessary actions. And should impact be detected, it will trigger followup procedures to ensure help is on its way. Want to keep your children safe? Head over to Bikiros’ Indiegogo campaign, where the startup is raising $45,000. Their estimated delivery date is set for March 2016. This entry was posted in IoT, Maker Movement and tagged ARM Cortex-M3, Bike Safety, Cortex-M3, embedded, Indiegogo, Sensors, Smart Bike on August 27, 2015 by The Atmel Team. 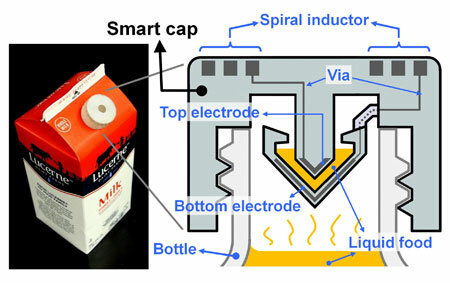 Researchers have 3D-printed a smart cap for a milk carton that detects signs of spoilage using embedded sensors. 3D printing has grown by leaps and bounds in recent years, ranging from affordable prosthetics and medical implants to on-demand toys and cars. However, a group of UC Berkeley engineers have pointed out, one thing that was missing up until now was the ability to produce sensitive electronic components. So in collaboration with researchers at Taiwan’s National Chiao Tung University, the team has set out to expand the already impressive portfolio of 3D printing technology to include electrical components, like resistors, inductors, capacitors and integrated wireless electrical sensing systems. In order put this advancement to the test, they have printed a wireless smart milk carton cap capable of detecting signs of spoilage using embedded sensors. While polymers are typically used in 3D printing given their ability to be flexed into a variety of shapes, they are poor conductors of electricity. 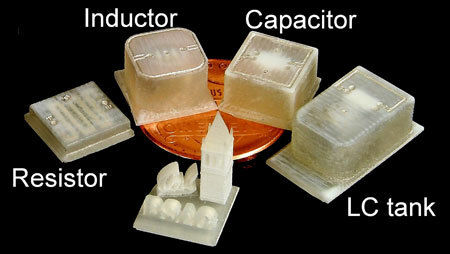 To get around this, the researchers devised a system using both polymers and wax. They removed the wax, leaving hollow tubes into which liquid metal was injected and then cured. The team used silver in their latest experiments. The shape and design of the metal determined the function of different electrical components. For instance, thin wires acted as resistors, and flat plates were made into capacitors. The electronic component was then embedded into a plastic cap to detect signs of spoilage in a milk carton. A capacitor and inductor were added to the smart cap to form a resonant circuit. The engineers flipped the carton to allow a bit of milk into the capacitor, and left the carton unopened for 36 hours at room temperature. From there, the circuit sensed the changes in electrical signals that accompany increased levels of bacteria. These changes were monitored with a wireless radio-frequency probe at the start of the experiment and every 12 hours thereafter. Upon completion, the smart cap found that the peak vibration frequency of the room-temperature milk dropped by 4.3% after 36 hours. In comparison, a carton of milk kept at 4°C saw a relatively minor 0.12% shift in frequency over the same time period. Looking ahead, the researchers are hoping to further develop this technology for use in health applications, such as implantable devices with embedded transducers that can monitor blood pressure, muscle strain and drug concentrations. Interested? Read more about the study here. This entry was posted in 3D Printing, IoT and tagged 3D Printing, 3D-Printed Smart Cap, embedded, IoT, Sensors, Smart Cap, UC Berkeley, wireless on July 20, 2015 by The Atmel Team. Novelda introduces a pair of new sensor modules for detecting human presence and monitoring respiration. Norwegian sensor developer Novelda has launched a pair of adaptive smart sensor modules that are capable of monitoring human presence, respiration and other vital information. Based on the company’s proprietary XeThru technology, the unobtrusive sensors can detect presence from chest movement, as well as rate and depth of breathing, allowing patterns to be tracked in real-time. This is because XeThru technology uses radio waves rather than infrared, ultrasound or light, which enables the Atmel | SMART ATSAM4E16E based modules to ‘see through’ an assortment of objects, like lightweight building materials, duvets and blankets, to provide non-contact sensing at a range of up to nearly five meters. Impressively, each module consumes less than 400mW power and remains unaffected by dust, smoke, moisture, darkness or any other airborne debris it may encounter. 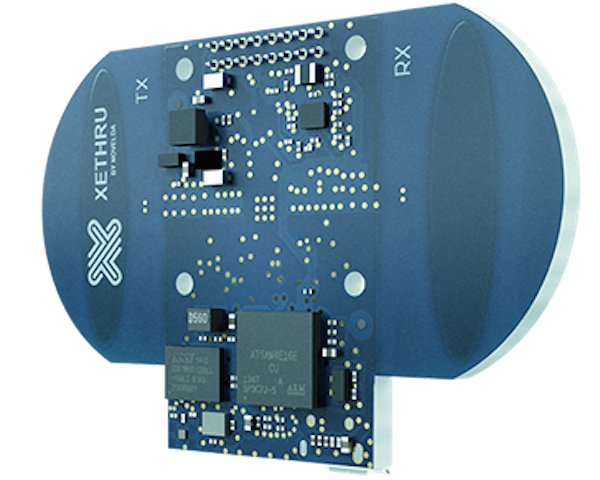 First, the XeThru X2M300 module is intended for smart home automation where its capability for detecting human presence while being integrated into a building’s structure enables hidden, tamper-proof sensing. Aside from security and comfort applications, such as the convenient actuation of lighting and environmental controls, this SoC can enhance safety throughout the house — especially for the elderly or those living alone, using the absence of normal activity to raise an alarm. To get started, users simply affix the sensor with its main sensitivity direction pointing toward the area to monitor. Meanwhile, the X2M200 sensor module is designed for respiration monitoring of people of all ages for health and well-being purposes, especially for sleep improvement systems and spotting nighttime abnomralities. XeThru’s non-contact technology offers a reliable yet non-intrusive way to observe respiration and movement, capturing breathing patterns and frequency without being blocked by blankets or other obstacles during a slumber. 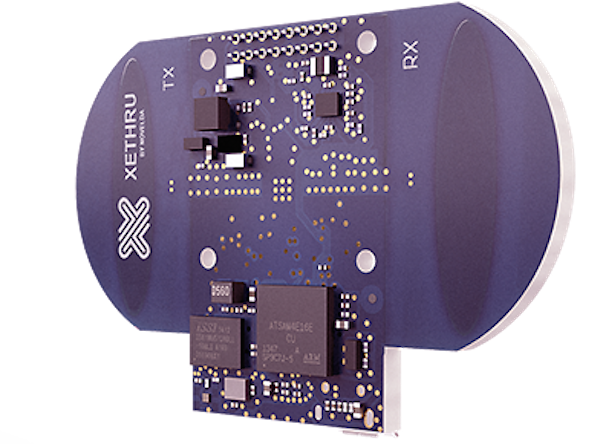 Novelda has also launched a XeThru Inspiration Kit — an easy-to-use, hardware and software platform that includes the pair of sensor modules and interface boards for PC connection. This provides developers with a simple way to devise working proof-of-concepts and carry out the prototyping process. The XTIK1 gives users all the necessary tools to evaluate the performance of the sensors using the supplied software that supports module configuration, visualization of sensor data and the ability to record data for further analysis. Beyond that, the kit comes with XeThru’s Explorer software and a programmer unit should the firmware need to be updated. In which case, a JTAG programming interface available on the USB communication board is used to upgrade the program running in the module along with an Atmel-ICE programming probe. The probe connects to the PC via USB, while a ribbon cable connects from the Atmel ICE SAM port to the 10-pin connector on the USB communication board. As Novelda notes, the procedure requires the download and installation of Atmel Studio. Intrigued? You can head over to its official page to make more ‘sense’ of the topic. 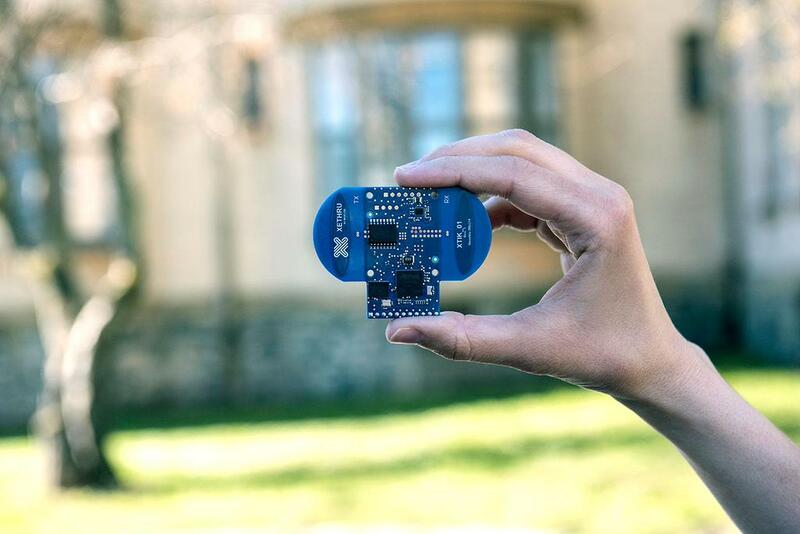 This entry was posted in IoT, Product News and tagged ARM Cortex-M4, Atmel | SMART, embedded, Human Presence Sensors, IoT, Novelda, Respiration Monitoring Sensors, SAM4E MCU, Sensors, XeThru, XeThru Technology on April 28, 2015 by The Atmel Team. The latest version of IAR Systems’ toolchain integrates C-STAT as well as stack usage analysis and parallel build. IAR Systems, a leading provider of software tools for embedded systems, has revealed several major updates to its complete embedded development toolchain IAR Embedded Workbench for Atmel AVR32. The latest version, 4.30, introduces the add-on product C-STAT for completely integrated static code analysis, as well as stack usage analysis and shortened build times through parallel build. 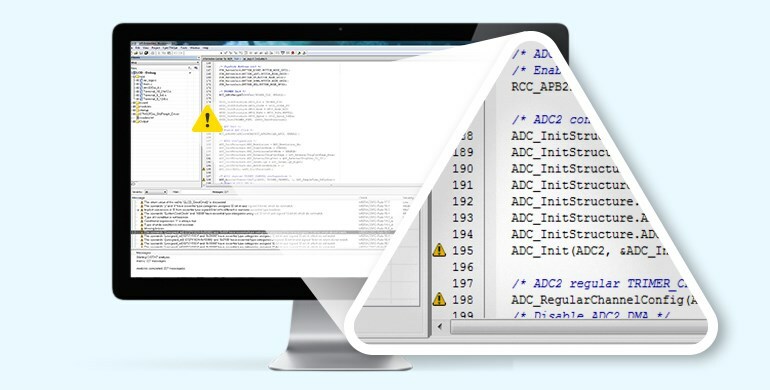 Static analysis finds potential issues in code by delving deeper on the source code level, given that errors such as memory leaks, access violations, arithmetic errors and array and string overruns can cause security issues and affect the overall performance and quality of a product. 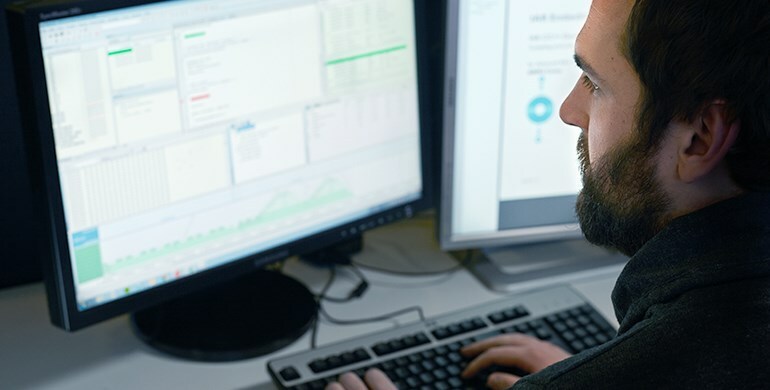 By using static analysis, developers can identify these errors early on, and ultimately, minimize their impact on the finished product and the project timeline. Aside from improving the code quality, the analysis can assist in aligning with industry coding standards. C-STAT is a powerful static analysis tool that checks compliance with rules as defined by the coding standards MISRA C:2004, MISRA C++:2008 and MISRA C:2012, as well as hundreds of rules based on for example CWE (the Common Weakness Enumeration) and CERT C/C++. 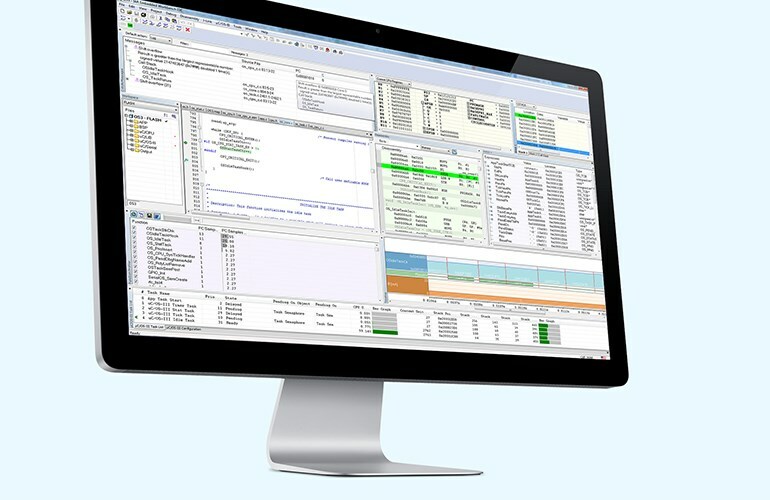 Users can easily select which rule-set and which individual rules to check the code against, and the analysis results are provided directly in the IAR Embedded Workbench IDE. The new version also adds stack usage analysis. The stack is a fundamental property of an embedded system and a proper setup of the stack is essential to system stability and reliability. However, calculating the stack space is notoriously hard, making worst case maximum stack depth very useful information as it greatly simplifies estimates of how much stack an application will require. With stack usage analysis enabled in IAR Embedded Workbench, a stack usage section will be added to the linker map file with listings of the maximum stack depth for each call graph root. The analysis process can be customized to take into account such constructs as calls via function pointers and recursion. The output can optionally be generated in XML format for post processing. In the compiler, parallel build has been introduced to help accelerate project times. The user can easily set the compiler to run in several parallel processes and make better use of the available processor cores in the PC. This feature can have a major impact on reducing the build times of the compiler. As many of you are well aware, IAR Systems provides a plethora of powerful development tools for Atmel 8-bit and 32-bit families. And, IAR Embedded Workbench for AVR32 is a complete C/C++ compiler and debugger toolchain that creates the fastest, most compact code in the industry. Interested? Head over to its official page here to learn more. 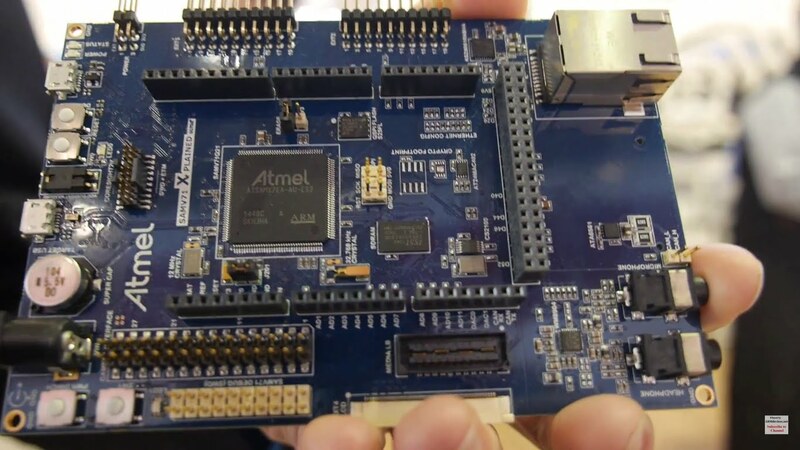 This entry was posted in Application Highlights, Design Trends and tagged AVR, AVR32, C-STAT, embedded, embedded systems, IAR Embedded Workbench, IAR for Atmel AVR 32, IAR Systems on April 28, 2015 by The Atmel Team. 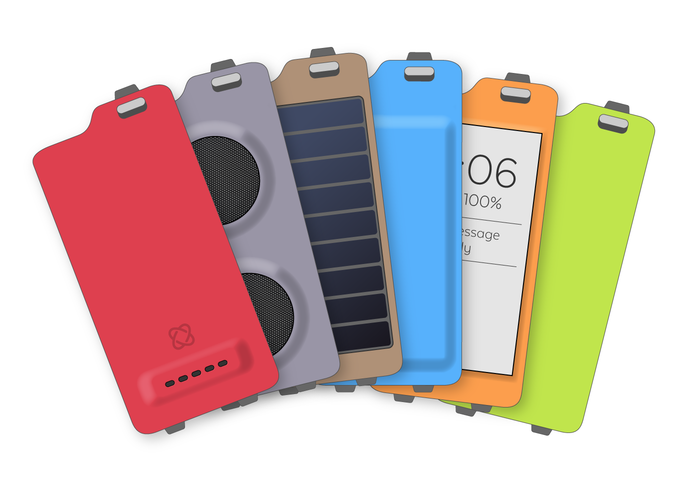 Moscase enables users to customize their smartphones with modular backplates, adding new and exciting functions. When it comes to iPhones, there are really only a couple of additional accessories users are interested in: decorative cases and companion health gadgets. And yes, you can shell out a hundred or so dollars for a standalone fitness tracker, but one South Florida-based startup is hoping for consumers to realize that they’re already schlepping around an even more powerful one, their phone case. Not only can the aptly named Moscase protect your device from impending drops, but can track your health as well. This is accomplished through various integrated components, ranging from an optical sensor for heart rate and oxygen saturation to a heat sensor for temperature. Beyond that, there are also impedance sensors that can measure stress levels, body-fat percentage and bioresonance by sending electromagnetic currents through your body. This data is then collected and displayed by an accompanying mobile app along with some helpful tips. “It is the most intuitive and comfortable way of tracking your health. By seamlessly becoming one with your phone, you never have to think about it,” the team writes. Aside from its embedded sensors, the product packs a lightning connector port, a charger outlet, as well as an Atmel based MCU (still awaiting word as to which one). 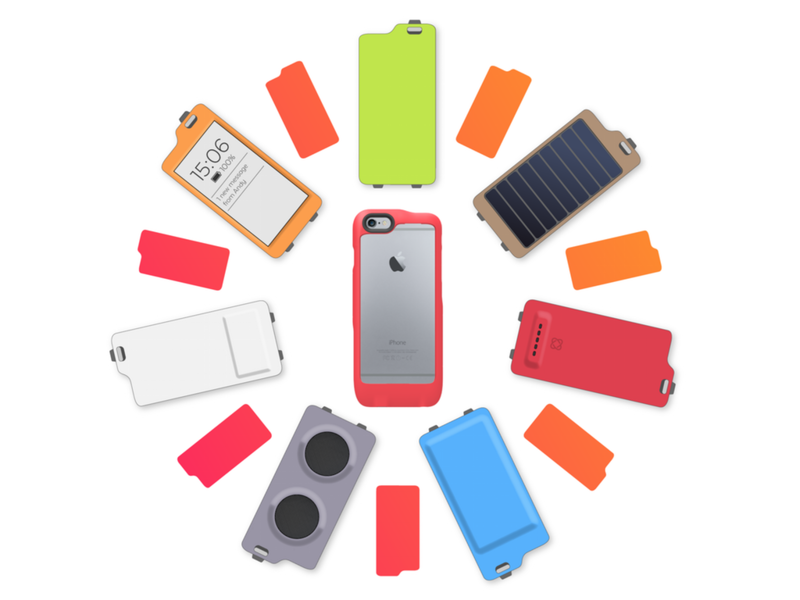 Moscase connects to the iPhone via the lightning connector for speed, reliability and energy efficiency. It doesn’t use Wi-Fi or Bluetooth for transferring data. Its creators also designed interchangeable active backplates, which could provide iPhone 6 users with additional features like a breathalyzer, hi-fi speakers, a solar cell charger, extra battery and storage, as well as an e-paper reader. Ready to add a little oomph to your iPhone 6? Moscase is currently seeking $150,000 on Kickstarter and will be available in four colors for initial production. The final choices will be narrowed down from eight colors, including lack, silver, gold, blue, yellow, red, green and white. Shipment is set for October 2015. This entry was posted in IoT, Maker Movement and tagged embedded, iPhone Case, Kickstarter, Moscase, Smartphone Case on April 15, 2015 by The Atmel Team. 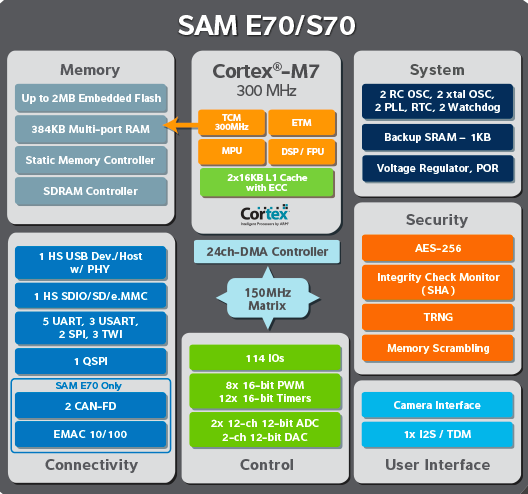 In particular, the SAM S70 series is based on the Cortex-M7 core plus a floating point unit (FPU) extending the general purpose product portfolio with maximum operating speeds up to 300MHz, up to 2MB of Flash, dual 16KB of cache memory and up to 384KB of SRAM with an extensive peripheral set including high-speed USB host and device plus high-speed PHY, up to 8 UARTs, I2S, SD/MMC interface, a CMOS camera interface, system control and analog interfaces. Aside from the S70 series features, the recently-revealed SAM E70 also includes a 10/100 Ethernet MAC and Dual Bosch CAN-FD interfaces with advanced analog features making them ideal for connectivity applications. The SAM E70 is upwards compatible with Atmel’s SAM4E series. Watch below as ARMDevices.net catches up with Lionel Perdigon, Atmel Product Marketing Manager, to discuss the latest addition to the Atmel | SMART family. This entry was posted in Application Highlights, Design Trends, Engineering Perspectives, Events and tagged 32-bit ARM Cortex-M7 MCU, ARM, ARM Cortex-M, ARM Cortex-M7, Atmel | SMART, embedded, Embedded World, IoT, SAM E70, SAM S70 on March 24, 2015 by The Atmel Team. 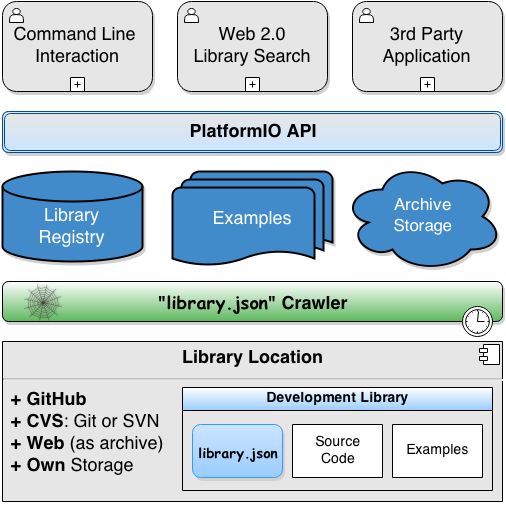 Ivan Kravets, PhD, Researcher and Software Architect, explains how PlatformIO is a cross-platform code builder and the missing library manager. We live in a time where the wall between the hobbyist and microcontroller (MCU) world has been completely broken. Just a few years ago, no one could have imagined that MCUs would go on to become popular with people who are not familiar with electronics. Nowadays, you don’t need to have deep knowledge in PCB design, assembly language or become buried under MCU application notes to get your first experience with embedded world. Still, there is a problem related to programming instruments. It’s excellent that MCU vendors have spent quite a bit of efforts to create rich HDKs/SDKs and comfortable IDEs which allow the performing of hardware debugging and tracing. However, all of these features are of interest mostly for those who have already decided which specific MCU they will use for the project. So, at this point the market has generated another demand: to make cross-MCU development easy. This is where Arduino and its burgeoning community have played an important part: cross-platform processing-based Arduino IDE; simple and easy-to-use wiring-based framework with high-level API; incredible count of shields (sensors, actuators, etc. ), and a lot of different libraries which cover significant part of hobbyist tasks. These have all made embedded development much easier. Yet, while Arduino enables development for varying MCUs, it is still a commercial product. As a result, it is inherently restricted to Arduino boards. It doesn’t come as a big surprise today when an interesting embedded project is invented by people who have not had any earlier professional experience with MCUs. I feel that this phenomenon can easily be explained with my motto: “Creativity comes from talent and never from knowledge.” Talented people and those with ideas are interested in quick prototype instruments which don’t require big efforts to use them. Many of these people prefer to concentrate on the task in hand, and don’t want to install too much of additional software, play with confused manual or get used to new additional IDE… So far so good, as many of vendor IDEs do address these issues. However, what if for your next project, you need some board or MCU which aren’t supported by your favorite vendor? With devices becoming increasingly smaller, wireless and battery-powered, this is occurring more frequently. Then, all of a sudden, you have a problem: development platforms from the different vendors tend to recommend their own IDEs and approaches. Subsequently, you’re likely to have several IDEs installed, each with its own requirements (to make things worse, these requirements sometimes conflict with each other), and with an ongoing switching back and forth. Ouch! It’s not before long that this quickly becomes a major headache, and ironically, headache is exactly what these development platforms aim to avoid. Developer, meet PlatformIO. PlatformIO, meet developer. Here is where PlatformIO comes in, an open-source cross-platform code builder and library manager (available on GitHub). After many months of development, we have finally released PlatformIO 1.0 which has been recommended for production use. PlatformIO is independent from the platform, in which it is running. In fact, the only requirement is Python, which exists pretty much everywhere. What this means is that PlatformIO projects can be easily moved from one computer to another, as well as that PlatformIO allows for the easy sharing of projects between team members, regardless of operating system they prefer to work with. Beyond that, PlatformIO can be run not only on commonly used desktops/laptops but also on the servers without X Window System. While PlatformIO itself is a console application, it can be used in combination with one’s favorite IDE or text editor such as Arduino IDE, Eclipse, Visual Studio, Vim or Sublime Text. Alright, so PlatformIO can run on different operating systems. But more importantly, from development perspective at least, is a list of supported boards and MCUs. 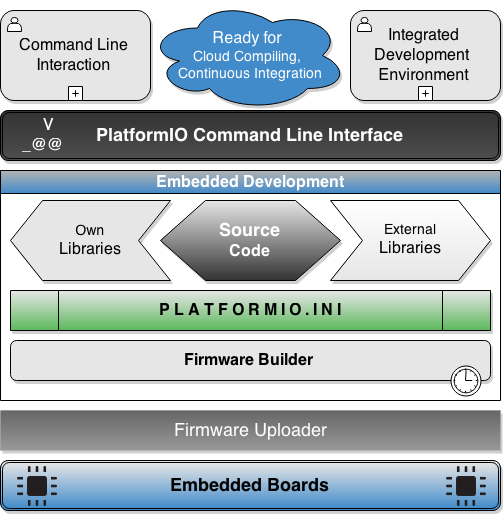 To keep things short: PlatformIO supports over 100 embedded boards (all boards which are supported by Arduino IDE) and all major development platforms including Atmel AVR and Atmel | SMART, among many others. As aforementioned, PlatformIO supports cross-board code development: multiple boards can be selected in a single project, and PlatformIO will apply all respective environments and will compile the code against each of boards within the project. And for the icing on the cake, this feature can be easily integrated with Continuous Integration System (such Jenkins, Travis CI and Circle CI). It should help to ensure that, at any point, a code at least compiles on all target boards, thereby eliminating costly, time-consuming and error-prone process of fixing these cross-platform issues at later stages, when your team members have already forgotten what the code was about. With an overall trend heading towards open-source, embedded development is no exception. Indeed, there are countless embedded libraries already available today, such as high-level communication with sensors, actuators or even full-fledged IoT implementations. Nevertheless, every time you need something like it, there is a big underlying question around where to finding this specific library, and how to make it work with your environment. To address this problem, PlatformIO Library Manager provides an ecosystem for library writers and library users. Using library manifest file (“library.json”), writers have an ability to describe library. This manifest is not only about such things as authors, description, keywords, and version, but first and foremost about technical information, ranging from location of source code and examples to CVS repository and dependencies. This manifest file is generic enough to be used by other library managers (if somebody else wants to write them). For the library users (aka developers), PlatformIO provides two ways for searching for libraries. The first way is via Command Line Interface, the other is Web 2.0 Library Search with functionality such as library categories, different framework and platform filters, and advanced search syntax with boolean operations. As noted above, as an author, I cannot be objective when speaking about PlatformIO. However, I am sure that for any kind of cross-board and cross-MCU development PlatformIO provides substantial benefits. PlatformIO takes the hassle out of installing all the tool chains you need, and allows you to build your code for many boards with a single command. PlatformIO Library Manager not only helps you to find and install libraries, but has an option to keep them up to date as well. UPDATE: PlatformIO 1.2.0 is now available. To explore the release history, you can head here. This entry was posted in Application Highlights, Arduino, Arduino-Compatible, Design Trends, Engineering Perspectives, Maker Movement and tagged Atmel | SMART, AVR microcontroller, Cross-Platform Code Builder, embedded, embedded design, Embedded Development, Missing Library Manager, PlatformIO on March 23, 2015 by The Atmel Team.